A local Japanese restaurant I use makes the most excellent potato croquettes and as cabbage and potato work well together, I tried combining them. The results were excellent and I ate far more than I should have done. •minari (미나리-though parsley would make an ideal substitute) Chopped. 1. Boil the potatoes until cooked and then mash them over a low heat to remove moisture. 2. To the potato add the kimchi, onion, minari, sugar and soy sauce and mix together. 4. Taking the mixture, fashion it into a ball a little larger than a golf ball. At this stage you can insert a cube of cheese into its center. Place each ‘ball’ on a plate until you have as many as you need. 7. 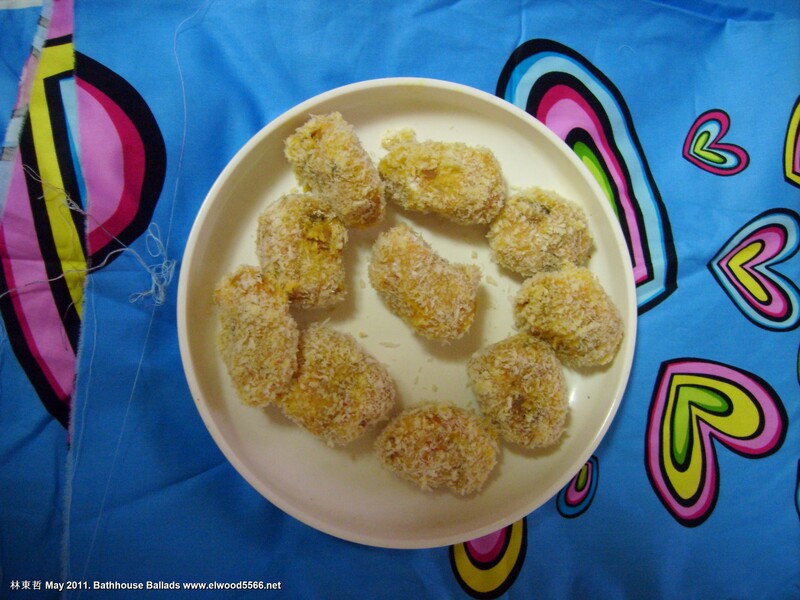 Heat the oil until it is suitable for deep frying. 8. Carefully place the ‘balls’ into the oil and fry until golden brown when you can remove them onto greaseproof paper and continue with the next batch. Mashing the potato over a low heat is crucial as removing any excess liquid stops the potato ‘balls’ falling apart. 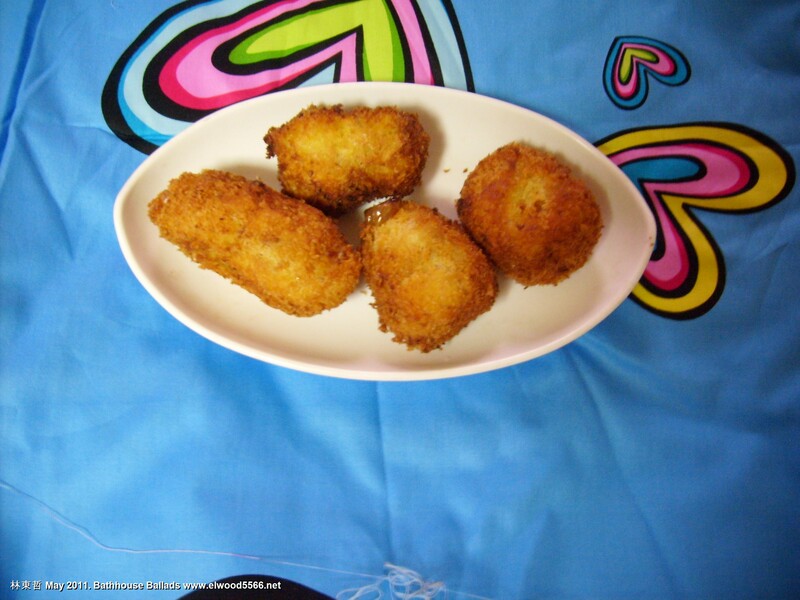 Kimchi potato croquettes make an excellent snack or side dish but can easily constitute a lunch. I’ve eaten them cold and they are delicious but you can’t beat them straight from the fryer, hot and crispy. A suitable sauce, used in Japan and Korea is “Bulldog’ which is a brown sauce made with Worcester sauce. 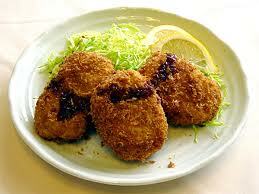 A drizzle of Terriyaki, Worcester Sauce or other brown-type sauces would be ideal but this is a matter of taste.